Home > Juiceful Recipes > Quit Smoking By Juicing! You’re a smoker and you’re trying to quit, this is probably going to be the hardest thing you’re ever going to do. Smoking is a horrible addiction to beat because besides the nicotine dependency, you also have to break the psychological habits that come with being a smoker. In your day-to-day activities smoking is associated with various tasks or moods, which can also trigger your nicotine addiction. For instance, I’m smoker and every time I have a meal I get the urge to smoke or for instance, every time I go for a drive. 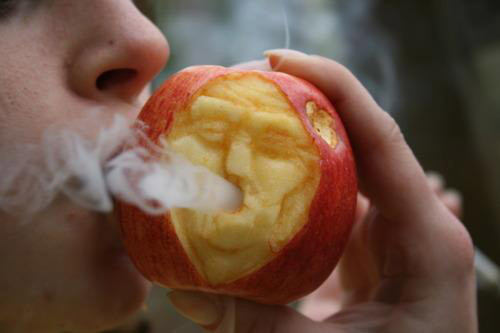 I get the urge to smoke. . I have been trying to quit smoking for the past six months, What usually happens with me is I quit for month and then I get back on the bandwagon. To be honest with you I feel like it is really taxing on my system, I generally and the feeling worse than the times, i normally smoke. Now, the following juice recipes can help you detox your system. I remember reading in a magazine where it stated that drinking various juices during your quitting stages helps get rid of the nicotine from your bloodstream faster. So when I suggest you to do is alter your routine for a week or maybe even more. Take a vacation with friends, preferably non-smoking or start an activity that’s counter indicative smoking like sprinting daily.you are probably surrounded by people that are constantly telling you to quit smoking, to be honest they are the ones that usually make everything a lot more difficult because they end up reminding of smoking, so try to stay away from those people. Let’s just hope the following juices will get you off on right foot.